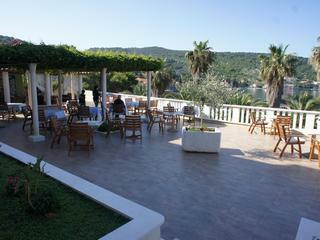 For our kayaking tours we use local apartments on the islands of Lopud and Sipan. 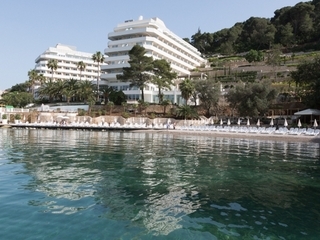 There are a wealth of private apartments on the Islands. Most have air conditioning, good views and are comfortable and clean. They are typically owned by local families, retirees and fisherman, including some real characters. The precise quality of the apartments does vary depending on what is available. What you can guarantee, though is simple local accommodation at a good price in a good location. The apartments are mostly of a basic to mid-range standard, well located, clean but not very modern. They are usually en-suite with air conditioning and part of the joy of staying at them is enjoying the hospitality of the local hosts. We can not guarantee which apartment you will be staying at until you book, but typically the earlier you book the better the apartment we will be able to get for you. Family apartments typically have kitchenettes. Apartments that do not have air-conditioning will have fans provided and are usually old, stone buildings which are naturally cooler inside. Tailor-made holiday combining a multi-day kayaking tours in the Elaphiti Islands off Dubrovnik with specially selected boutique hotels. A Short Break in Dubrovnik, kayaking around the Elaphite Islands. Staying in a local guesthouse, you'll have a chance to sample the very best in local cuisine. Go Island Hopping in Croatia on this one week Dubrovnik group sea kayaking holiday exploring the steep cliffs & clear water of the local islands & staying in local guest houses. 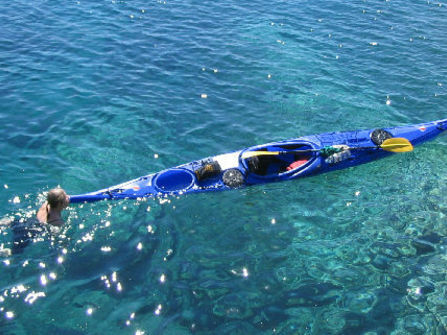 A family sea kayaking holiday in and around Dubrovnik available for children aged 6 and upwards. 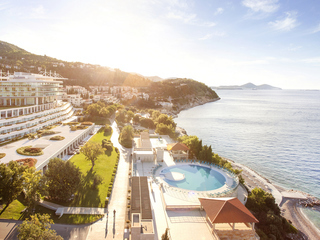 Explore the majestic old town of Dubrovnik and its idyllic outlying islands on this wonderfully relaxed family activity holiday. On our final night now in Dubrovnik sadly. Thoroughly enjoyed the first half Tourdust arranged with all the kayaking etc. our son was very sad to leave and preferred the earlier part of our trip to the second half chilling by the pool! Accommodation was 'ok', activities were just enough, some people couldn't keep up with the amount of kayaking but for us it was just the right amount. Johnny and Mattie were superb, they went out of their way to ensure everyone was happy all the time (I hope Tourdust look after them as they are a great asset to the company!!). They took us to some great restaurants, arranged all the transport and ensured everyone was safe during the activities. 5 out of 5 to you guys, we hope to be back!! Our trip was fabulous- everything and more than we expected. Your team could not be praised too highly, nothing seemed a bother to them. 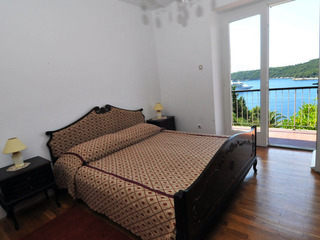 Accommodation - basic Croatian house - lovely, just what we wanted ! Food - possibly one of the only disappointments - breakfasts very basic, tea and coffee not good but it was ok and we managed (this is after all how the Croatians eat !). Guides - Mattias and Geevo (ignore spelling) - so pleasant and just brilliant , went out of their ways to accommodate us. It must be noted that when in Croatia you are on "Croatian time" and therefore 8am could mean anything up to 10.30 but when you have the sun, beach and scenery to sit and watch whilst waiting of your guides - this was not really an issue after you got used to it. One small note, you could well do in investing in some smaller kayaks and paddles for kids between say 8 - 14, they only catered for adults with these and you know yourself that the right paddle is important. Mark out of 5 = 6 /5 So, all in all, a great holiday and now I have the job of trying to "top" this next year. We thought this was a very well planned out trip. It had a good balance of kayaking and fun time. All staff we came across from booking, to transfer to guides were always very helpful and friendly. The staff in Croatia were always welcoming and forthcoming with help and information. We loved the island, the car free environment was fantastic. The island and its neighbors were beautiful, the water is stunning, I cant remember seeing sea that clear before. The children were never bored, if they weren't kayaking they were snorkeling and loved it. We all loved the banana boat ride and the speed boat trip. On the last day three families chartered the local glass bottom boat, 1300 Kuna for the day (approx £10 per person) and we had a fantastic trip around other islands, snorkeling and swimming in new areas and a lovely lunch on anther islands. I would recommend this to other travelers. I think this was arranged through Irvana. We would recommend this holiday and Tourdust services to friends in the future.